Perth Roller Derby is back for 2018! It’s our 10th birthday and we are celebrating all year long! Are you ready for our first game of the season?! 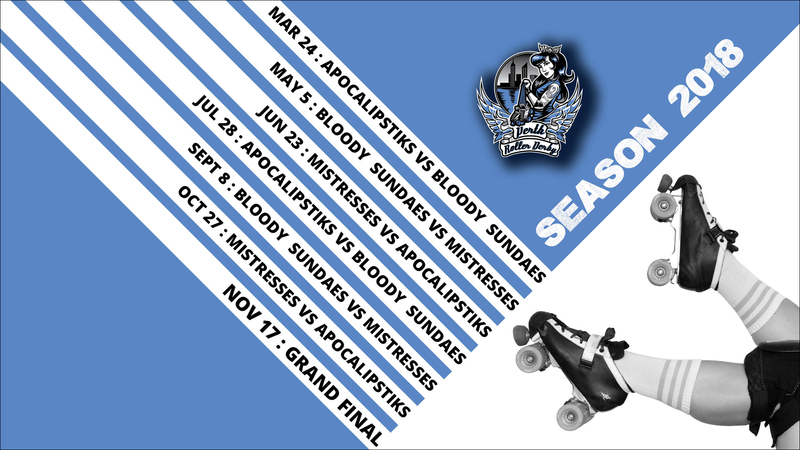 It’s a rematch of last year’s final, with The Apocalipstiks hoping to dominate The Bloody Sundaes once again. There are new line ups, new skaters and lots of new season energy. Be there to see some awesome hard hitting action. This bout will be hosted at Herb Graham Recreation Centre where there will be a family friendly environment, licensed area, plus more derby action than you can wave a pompom at! 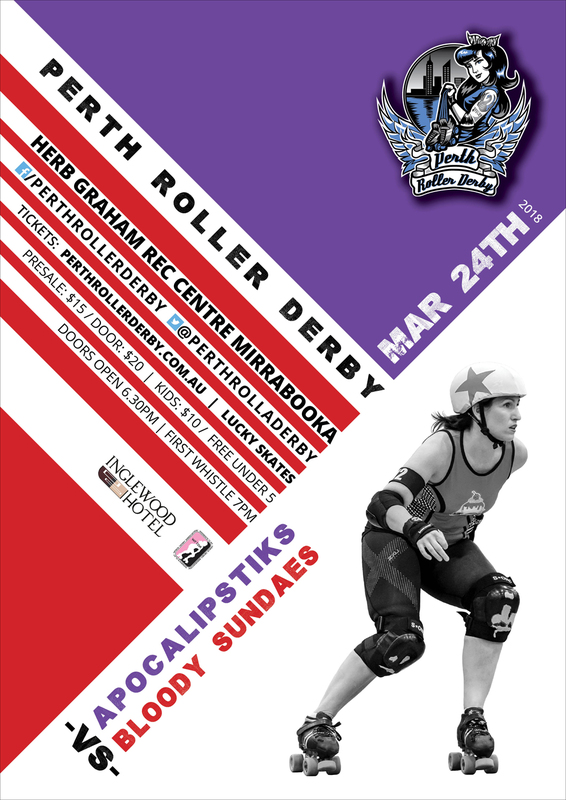 Don’t forget to wear your team colours (Red for Sundaes, Purple for Lips, black and white for Team Officials!). Tickets available online here or you can pick them up in person at Lucky Skates WA.